The 2018-2019 school year is here! Much is offered to Miami students and there are many ways in which St. Mary's needs your help. Register with us to stay informed of parish and Campus Ministry events throughout the school year. Your information will stay in our parish files and will not be shared. Click on the registration button below to register as a Student Parishioner! Be sure to stop by and check out our church and Campus Ministry space! Entrance to our Campus Ministry Student Lounge is located behind the church. Students are welcome to come hang out and study in the student lounge spaces at any time they are not being used for a program or event. collection basket comes around? Good news—now you can donate to St. Mary Church using our new Venmo account! Search for us at St Mary Church (@stmoxchurch) Thank you for supporting St. Mary Church! 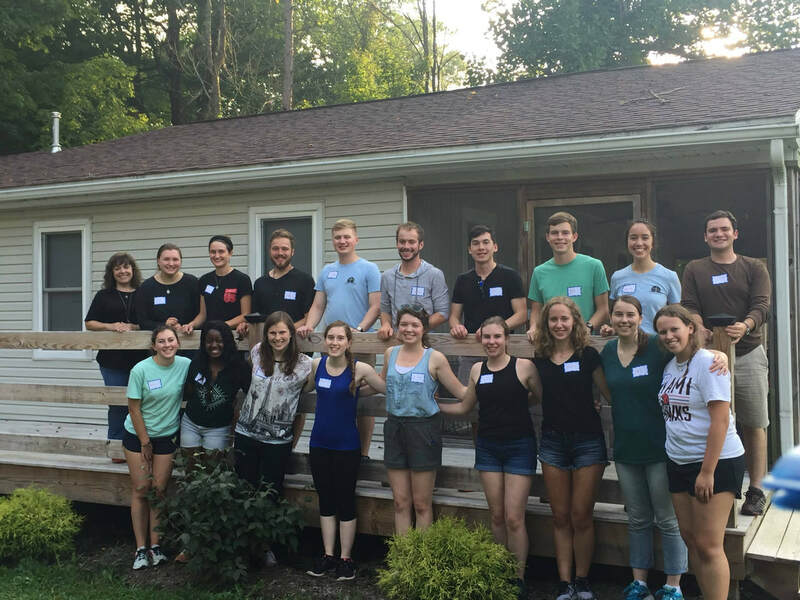 The Catholic Campus Ministry Board (CCMB) is a group of students and parishioners who work together under the Director of Campus Ministry to provide opportunities for students to deepen their faith. The board’s goal is to design and facilitate such activities as retreats, prayer experiences, social justice projects, mission trips, local service opportunities, liturgical music, bible studies, reflection and discussion groups and a wide variety of social activities to help young men and women to grow more deeply in their faith experience within the context of the wider parish community of the Church. The board consists of students and parishioners, some of whom are faculty. Executive Team, Retreat Team, Liturgy Team, Community Team, Faith-Sharing Team, Marketing Team and Service Team. ​contact our student chairs: Josh Jackiewiecz at jackiejr@miamioh.edu and Annie Frazee at frazeeac@miamioh.edu.